Where is Mumabi Located, India? 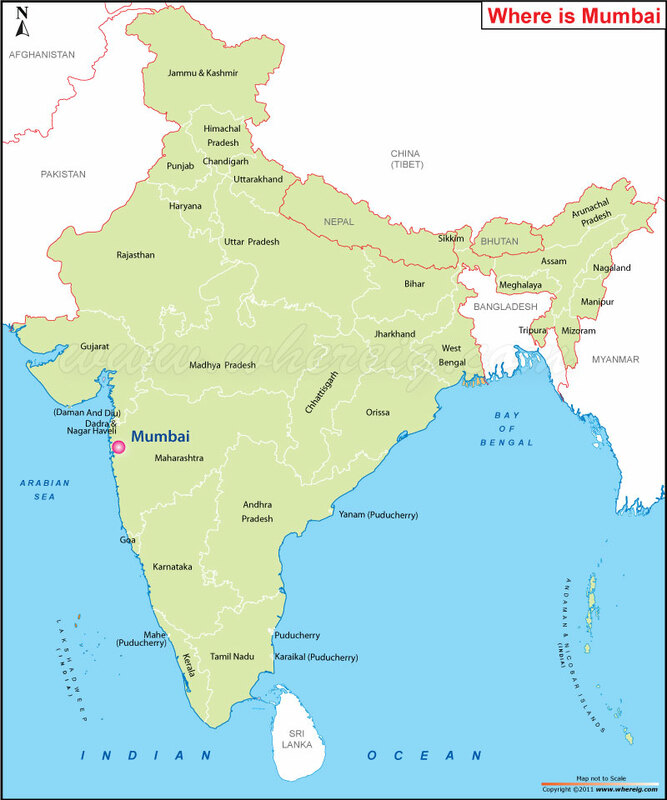 As shown in the given Mumbai location map that Mumbai is located as the coast of Arabian Sea in the central west region of India. Mumbai is the most populous city of India. For the year 2009, Mumbai is listed as Alpha world city. By virtue of being a coastal location, Mumbai has deep natural Harbor. It was constituted of seven islands along with the mainland. Though, the city was evolved way back but in short period of time it became the commercial center because of development of port; so, it started to serving as trade center of the region. Before 1995, its name was Bombay but after that it is renamed as Mumbai. Today, Mumbai is the commercial as well as entertainment capital of India. The film city Bollywood is located in Mumbai city. Besides, Mumbai is important financial center and the Reserve Bank of India, the Bombay Stock Exchange, National Stock Exchange of India and several other corporate headquarters are located here.